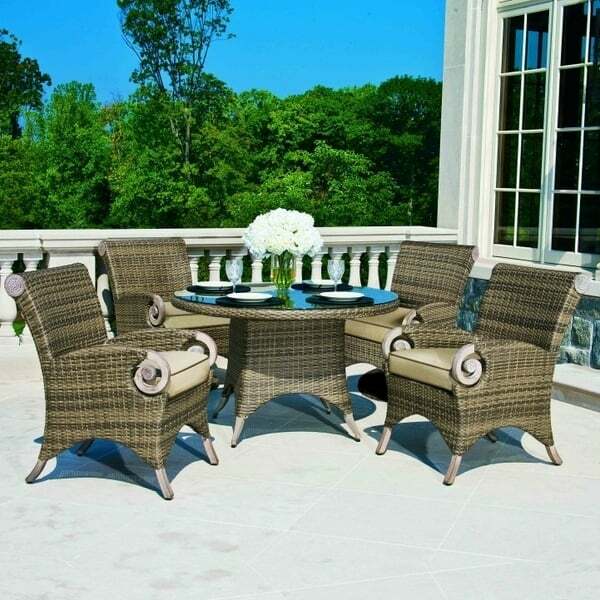 A perfect complement to the matching collection or wonderful on its own, this set will bring style and sophistication to your outdoor living space. This option by Cast Classics is reminiscent of the grand manor houses of Europe, with its architectural detailing and hand-painted, faux-bois finish. Grand Manor dining, with its lush, oversized patio chairs, will give you an elegant and comfortable place to sit and enjoy a gourmet meal with your family and friends. Cast Classics style and quality are evident in every inch of this transitional dining set, such as the arm and back castings featuring classic rosettes. Is your home ready for the best patio furniture possible? 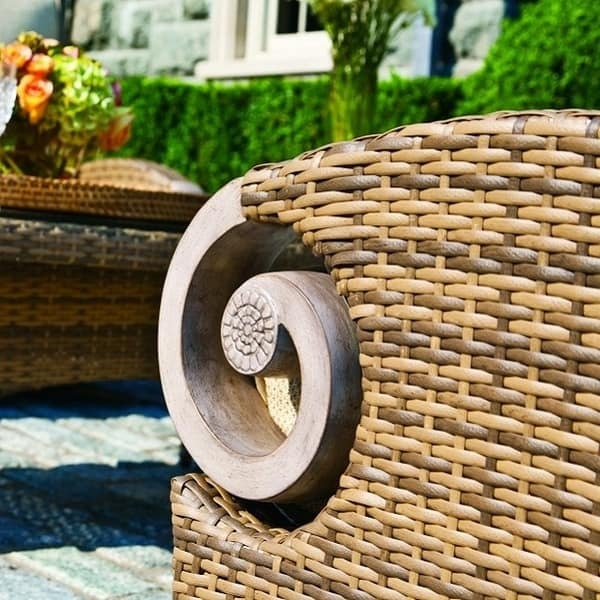 Add your choice of custom tailored cushions and you have the ideal setting for your outdoor living area. Dining Chair W 24.4" X D 31.7" X H 36.8"
Swivel Rocker W 24.4" X 31.7" X H 36.8"